Natural skin ageing is a process that will inevitably occur – but this does not mean that there is nothing that can be done to fight back against ageing skin concerns. Avoiding the sun’s harmful rays will be beneficial in preventing premature and accelerated skin ageing problems, and combining this with the use of products from the Obagi Nu-Derm system will result in an effective anti-aging therapy from deep within the skin. The Obagi Nu-Derm system is made up of skin care products aimed at providing effective anti-aging therapy; the products are designed to be used as part of a system with specific dosage and frequency of use, to achieve and maintain maximum anti-aging, and skin transformation results. 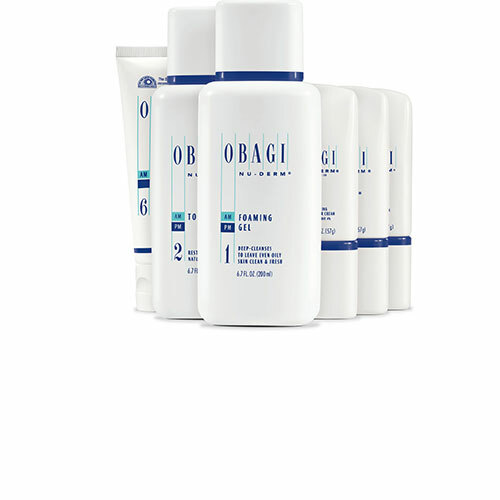 The formulations of Obagi Nu-Derm products are clearly specified for individuals who have either normal to dry skin or normal to oily skin conditions – to further help achieve more youthful skin for a particular skin type. The products that make up the Obagi Nu-Derm system are clinically proven to provide anti-ageing therapy at the cellular level (not just at the skin’s surface, but from levels deep within where the damage has been done – and where the repairs will need to come from as well).